This map is out of date. Follow the signs from the Yellowhead Hwy for 17 Street NW southbound (It’s the first exit from the right hand lane after you have crossed the Beverly Bridge, followed by a couple of right turns and a couple of left turns!). Eastbound on the Yellowhead Highway, take the 17th Street NW exit. Eastbound on 101 Avenue, exit from the RIGHT hand lane just after the intersection and loop round to join 17th St northbound. Go north on 17th Street for about 2.5km. Park entrance is on your left. You can also join 17th Street from the Sherwood Park Freeway (exit from the right hand lane eastbound). Registration will be in the NORTH parking lot by the ski chalet. No ETS service to this park. 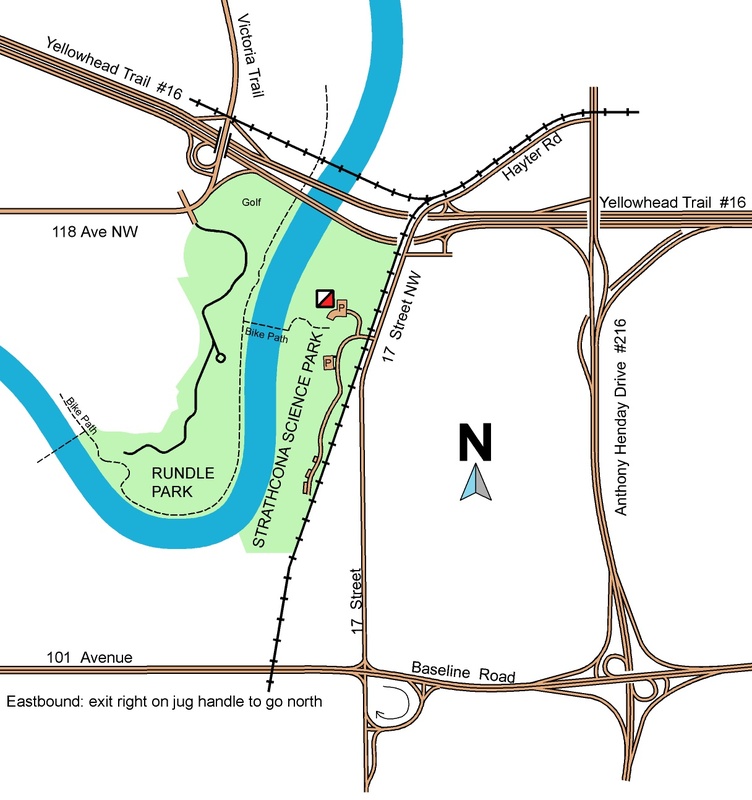 Bicycles via Gold Bar and Rundle Park. 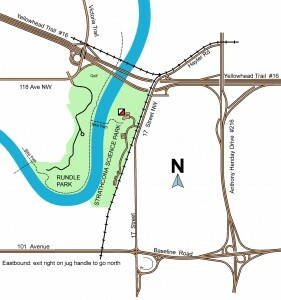 NB: any washrooms in this park will be porta potties; nearest real washrooms across the river.